Peel the Cardamoms and powder them. Keep it in a covered box till use so that the powder retains the aroma. Slice almonds to thin pieces and keep aside. Do not remove the skin of the almonds as this adds as roughage and it also gives a nice design when the kulfi is done. Remove the crust from the bread slice and tear it into small pieces. Take half cup milk from 4 cups milk and keep aside. Heat a non stick pan and add the remaining 3 1/2 cups milk to it. We have to reduce milk by evaporating. Reduce 3 1/2 cups milk to one and half cups. If the milk is thick just reduce it to two and half cups. Take a mixie jar and add the bread pieces, corn flour and half cup milk and blend to a smooth paste. Run the mixer for 2 to 3 minutes till you get a thick paste. When the milk is reduced, add the above paste to the milk and mix well. Keep on stirring the milk as the bread in the paste will sit at the bottom and gets burnt. When the mixture is thick add sugar and stir. Once sugar is added the consistency will become thin. Heat till you get the right consistency. Switch off the flame and add thinly sliced almonds and cardamom powder. Cool the mixture to room temperature. Spoon this mixture into Kulfi Moulds or into small cups and freeze for 6 hours. Here I wanted to serve this Kulfi as Stick Kulfi. Replace the lid of the Kulfi mould with a cling film. Make a slit in the centre of the cling film and insert a stick into it. Freeze till set. Once set remove the cling film and dip the mould in water for few seconds. Slowly pull the kulfi from the mould by holding the stick. You can see the brown almond pieces on your kulfi making a natural design. 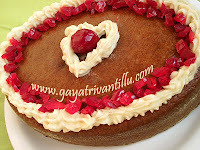 Mee vantalu chala baaguntay.Nenu chala try chesanu.Appudappudu kotta kotta vantalu experiment chestuvunta.but me recipes matram chala tasty ga vachayi .Thanks for sharing your valuable time and recipes.Keep posting new stuff.Today i am going to try kulfi. thnx a lot 4 ur reply i never expect tht u'll b replying me thnx a lot once again..
am very much fond of sweets n ice creams juz now i watched ur kulfi vedio cliping it was really mouth watering n now am gona prepare ths n am sure it'll be very tasty! 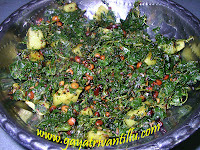 !keep adding these kind of recipes further in ur website.. I tried ur chole palak,gongura pickle,kulfi...really they came very tasty..thank you for posting tasty recipes for us..really ur doing good job...I like ur hosting in telugu...can u please post the recipes of ariselu,Mysorepak ??? Nice to see your videos.Telugulo chepadam valla chala easy ga vundi .. I request to please post bread halwa.